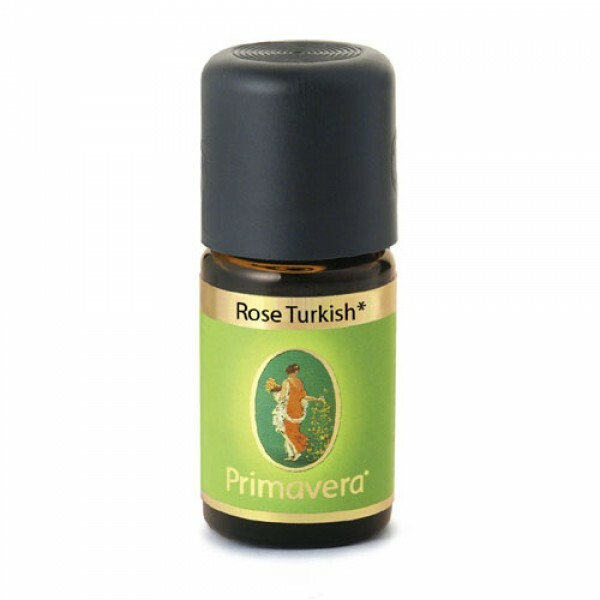 Rose Oil Turkish represents the scent of the heart. It is both centering and harmonizing. Strongly harmonizing, calming, inspiring and sensuously stimulating. It relaxes and relieves stress, but also increases perception, making it an ideal aphrodisiac. Rose Turkish is an ideal oil for facial and body oils, for masks, for wellness treatments like aroma massage, for bath essences or for compresses. Or you can use just 1 drop of neat oil as a natural perfume or pick-me-up. Often used for depression, anxiety, spasms, tension, stress and menopausal problems.